Video: NCGOP hired firm to utilize personal data from "one of the largest leaks" in Facebook history - and NC's 2014 election was their "case study." 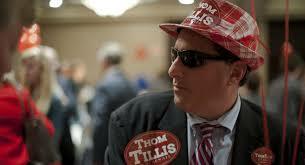 Is Thom Tillis running for governor? An out-of-state PAC is pitting all-but-announced gubernatorial candidate Dan Forest against U.S. 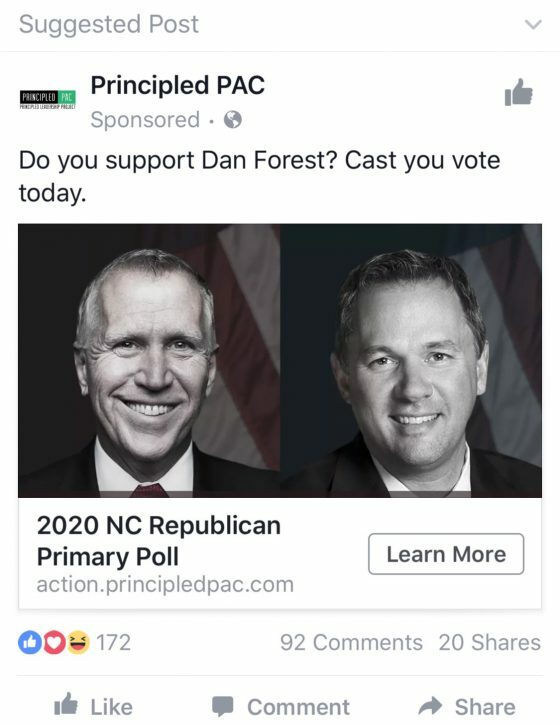 Senator Thom Tillis in paid Facebook ads. The intent of the Florida-based Principled Leadership Fund PAC is unclear. 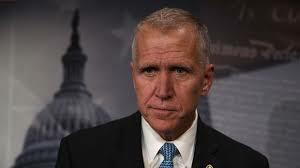 But what is clear is that conservative circles are talking about Tillis making a run for Governor in 2020—only two and a half years into his first term. Being in Washington doesn’t seem to be all Sen. Thom Tillis thought it would be. US Senator Thom Tillis (R-NC) has hosted at least six Facebook Live town halls or Q&A sessions in 2017. He has not hosted an in-person town hall at all this year despite promising in April he’d have one in May or June.